Mary McPherson is an engineer with a big heart. With a degree in Chemical Engineering, Mary spent many years as a materials science engineer, during which time she published several technical reports and holds patents for original research on the changing of molecular structures of plastics and optical thin film production using gas plasma technology. That was earlier in her career. Today, Mary is an engineer of learning. Her tool? Brainwave Optimization. 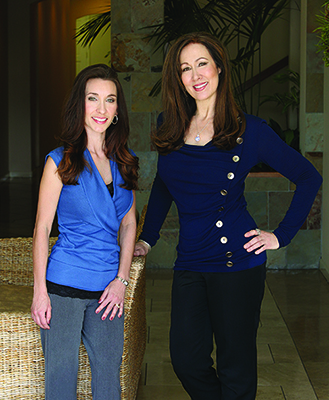 Mary McPherson (right) and colleague Michelle Newell of Awoken Life, Brainwave Optimization® specialists in San Juan Capistrano. Mary’s business, Awoken Life in San Juan Capistrano, offers a variety of services but specializes in Brainwave Optimization, something you might have heard about on Oprah, read in the pages of People Magazine or in science journals. Brainwave Optimization (scientific name “HIRREM”) is a natural, holistic approach to balancing the brain. It’s a clinically proven EEG-based, noninvasive technology (research conducted at Wake Forest School of Medicine) that helps people overcome brain-related barriers that prevent them from performing at their highest physical, mental/emotional and spiritual levels. The technology relies on capturing energy from the individual’s brainwaves and converting it into sounds that are played back to them via earphones. Results can be seen in as little as five days. With Brainwave Optimization Mary and her team at Awoken Life are helping people with anxiety, addictions, anger, depression, brain injuries, PTSD, sleep disorders and learning disabilities like ADD/ADHD. In fact, helping children break through in their capacity to learn is one of the most fulfilling aspects of Mary’s work. “Whether a student is in grade school, middle school or high school, the questions from parents seem to be the same: Why does my child have trouble focusing and concentrating? Why is my child acting out in class and at home? Is there help?” says Mary McPherson, who helps clients of all ages at Awoken Life Brainwave Optimization. Mary has been researching the answers to these questions. Recently published findings in the Journal of Neuroscience state that “over two-thirds of our brain is based on sensing or input; one-third on execution. If we have trouble focusing or concentrating, in some cases it is simply because the pathways between the sensory and execution network areas are not clear.” Brainwave Optimization helps clear those pathways. 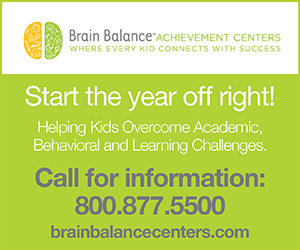 For many, those brain network pathways are pathways to better learning, and even better behavior. For her part, Mary McPherson is finding her happiness in helping children of all ages find success in school and at home.